1. 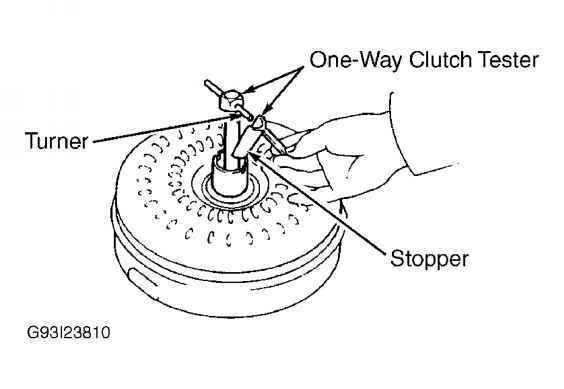 Install turner and stopper of One-Way Clutch Tester (09350-30020) in torque converter. See Fig. 3. Turner fits in inner race of one-way clutch. Stopper fits in notch of converter hub and outer race of oneway clutch. 2. 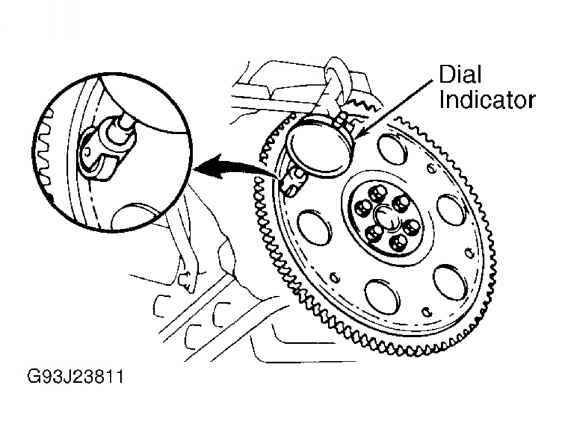 Clutch should lock when turned counterclockwise, but should turn freely when rotated clockwise. 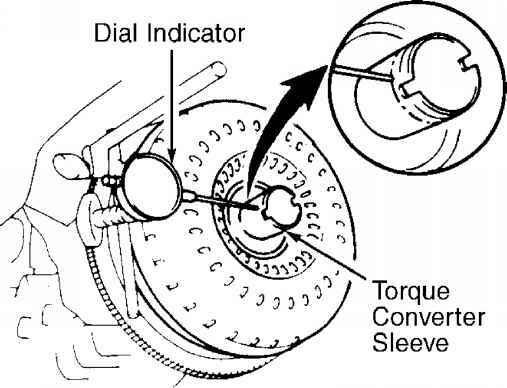 Torque required to turn clutch clockwise should be less than 22 INCH lbs. (2.5 N.m). If necessary, clean converter and retest clutch. Replace converter if clutch still fails test. Fig. 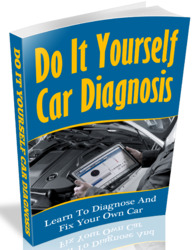 3: Checking Condition Of Torque Converter One-Way Clutch Courtesy of TOYOTA MOTOR SALES, U.S.A., INC. 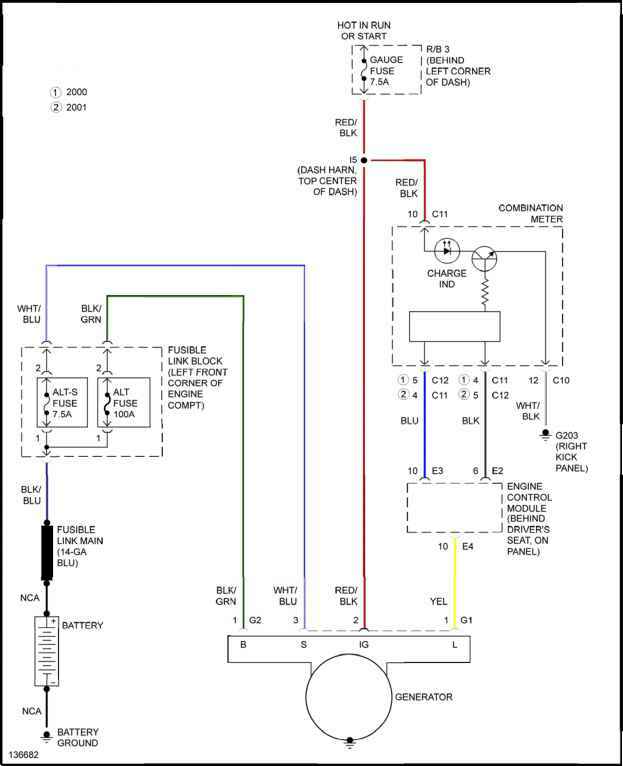 Using dial indicator, measure drive plate runout. See Fig. 4. If runout exceeds .008" (.20 mm), or if ring gear is damaged, replace drive plate. If installing a new drive plate, note position of spacers. Temporarily mount torque converter to drive plate. Mount a dial indicator with needle resting on converter sleeve. See Fig. 5. Rotate converter. If runout exceeds .012" (.30 mm), reposition converter on drive plate and recheck runout.